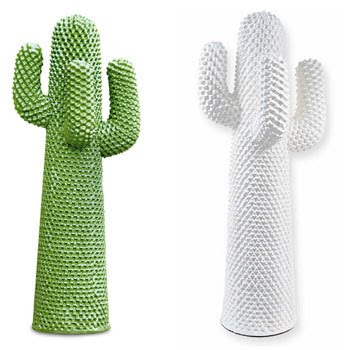 Cactus, designed by Guido Drocco and Franco Mello for Gufram in 1968, is an icon of design made in Italy. 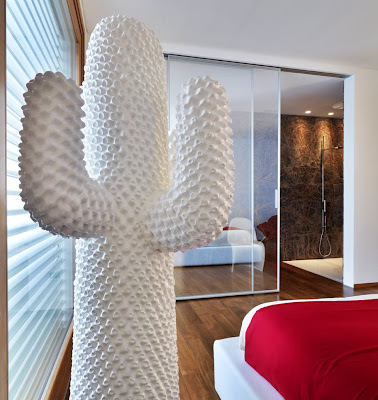 The Gufram Cactus is a striking sculptural addition in any room. It provides a natural and peaceful oasis with its graceful and comforting shape. It is destined to be a conversation piece for many years to come. The incredible Gufram Cactus is part of a set of design icons created by Gufram in the late 1960s and early 1970s. The series is known as the Multipli Collection. The Multipli Collection featured several everyday objects including grass, cactus, rocks, granite. All of these objects are produced in a polyurethane self-hardening foam with a patented lacquered finish. In 1986, Gufram re-editioned this piece and produced only 2000. The Gufram Cactus is included in several museum collections around the world and documented in a number of publications on decorative arts from the 20th century.